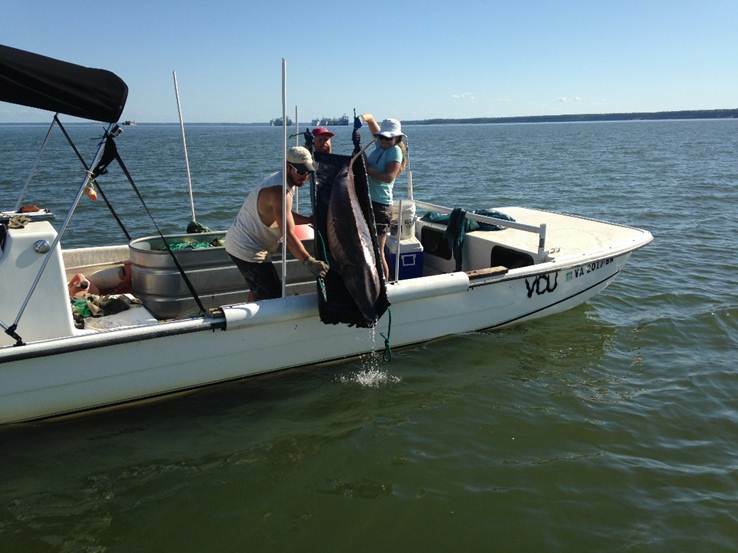 Hopewell and Prince George, VA - Matt Balazik, PhD, is helping to restore the Atlantic sturgeon to the James River in Virginia. Balazik works for the Army Corps of Engineers and is a research assistant professor at the Virginia Commonwealth University Rice Rivers Center, just south of Hopewell, Virginia. Visitors who are interested in other environmental preservation projects and outdoor recreation should contact the Hopewell and Prince George, VA, tourism office: 1-800-863-8687. Tourism advisors at the center can provide details on area accommodations, itineraries, outdoor adventure, water sports, food, musical performances and entertainment in and around Hopewell and Prince George, Virginia.